12 Volt 7 Amp Hour Sealed Lead Acid battery with F1 Connector Types. 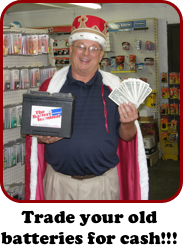 Commonly used in alarm systems, emergency lights, riding toys, deer feeders, chair lifts, and electronic gates. 12 Volt 18 Amp Hour Sealed Lead Acid battery with T4 Connector Types.Commonly used in alarm systems, emergency lights, riding toys, backup generators, chair lifts, and electronic gates. 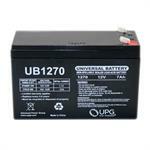 12 Volt 75 AH SLA Gel Deep Cycle Battery.